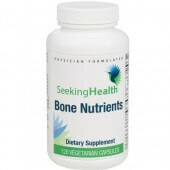 Bone Nutrients provides calcium and other nutrients that are essential for building and maintaining healthy bones. While bones are in a constant state of nutrient turnover, they absorb less calcium as we age, gradually losing their strength and density over time. Performing weight-bearing exercise regularly may help slow the loss of bone density, as well as making sure to get adequate amounts of Calcium, magnesium, vitamin, D, vitamin K, boron, and silicon, nutrients work in complementary ways to support the density, strength, formation, and metabolism of bones. Calcium: Calcium is the basic bone-building mineral required by the body. Adequate calcium intake every day, over a lifetime, is vital for maintaining sufficient bone density as we age. Regular exercise and a healthy diet with enough calcium helps maintain good bone health and may promote bone health later in life. Magnesium: Magnesium has an influence on calcium metabolism and bone formation through its role in converting vitamin D to its most active form. Magnesium is also helpful in regulating several hormones that affect calcium absorption and utilization while acting as a cofactor in over 300 enzymatic reactions throughout the body. Vitamins D and K: Vitamin D is a key regulatory hormone that helps the body ensure proper calcium levels are maintained for healthy bones and teeth. This vitamin assists the body’s absorption of calcium while helping limit calcium loss in the urine. Vitamin K is necessary for proper bone structure due to its role in stimulating osteocalcin, the major bone matrix protein. Bone Nutrients contains a soy-free form of Vitamin K for patients with a soy allergy. Other Supportive Nutrients: Boron is included for its usefulness in enhancing the absorption and utilization of both calcium and magnesium. Bone Nutrients also contains silicon in an active, soluble form that the body can readily use. Silicon helps maintain the proper construction of collagen in the protein matrix of the bone ultimately supporting normal bone density. 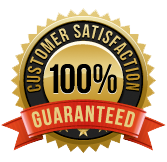 Bone Nutrients is an excellent addition to a healthy diet and exercise program for anyone who wants to support optimum bone health. Bone Nutrients is formulated without soy, corn, wheat/gluten, dairy, yeast, eggs, or nuts for individuals with allergies and food sensitivities. There is something that works better than Fosamax, and has none of the side effects, particularly that really silly one of increasing the chances of breaking your thighbone! ‘Four years ago (at the age of fifty eight) I was diagnosed with Osteoporosis. This happened despite taking calcium tablets for twenty years and drinking plenty of milk. However, my Mother and Grandmother suffered the same condition prior to me, so I felt this was perhaps genetic. Two years ago, after reading the results of the study done at Auckland University, I decided to take Lactoferrin three times a day, to see if it would build up the bone as the study suggested. I did not want to take the doctors prescribed drug Fosamax, as it caused side effects for my Mother and a friend, and I did not want to resign myself to feeling ill on a regular basis. In recent years, studies have shown that lactoferrin acts on the skeleton to promote bone growth. Lactoferrin stimulates the proliferation and differentiation of the bone forming cells, the osteoblasts, and acts as a survival factor for these cells. Lactoferrin also inhibits osteoclastogenesis, reducing the number of cells that can actively resorb bone, thus producing a greater overall increase in bone volume. There is a growing interest in the potential use of lactoferrin for the improvement of bone health, and in a number of recent studies dietary lactoferrin supplementation improved bone mineral density and bone strength. Lactoferrin appears to be a promising candidate for the development of an anabolic therapeutic factor for osteoporosis. In addition results have shown that Colostrum increased the bone mineral content and bone mineral density of the femur in a dose-dependent manner. Scanning electron microscope observation and mechanical testing further confirmed the positive effects of Colostrum. These positive effects attribute to the fact that osteopontin, lactoferrin, epidermal growth factor and insulin-like growth factor-2 are the dominant proteins in Colostrum. 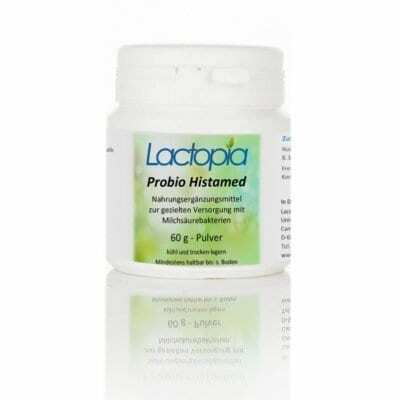 Thus, lactoferrin has powerful anabolic, differentiating, and antiapoptotic effects on osteoblasts and inhibits osteoclastogenesis. Lactoferrin is a potential therapeutic target in bone disorders such asosteoporosis and is possibly an important physiological regulator of bone growth.